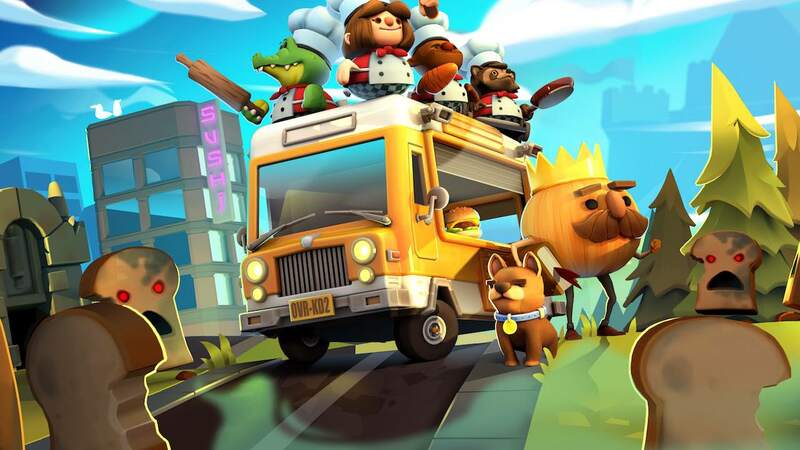 Team17 and Ghost Town Games have released a new software update for Overcooked 2 on Nintendo Switch, that sees the chaotic cooking action game on version 1.0.4. This has improved the way that your progression is saved in online games, in that it will be saved for every player that is logged into a profile rather than just the host. There are also multiple bugs that have been fixed, meaning that you can now accidentally throw clean plates and glasses in the bin without worrying that they’ll never reappear. Fixed an issue that could occur if a level was quit whilst a chef was chopping. Fixed an issue that could occur when swapping chefs whilst in the throne room. Fixed stacks of clean plates/glasses not being correctly reset if placed into a bin. Fixed multiple issues with counters and objects not highlighting correctly. Fixed an issue where players could respawn with previously caught items. Fixed the missing smoke particle in the food van for clients when joining an online kitchen. Fixed an issue that could occur when interaction with a large pile of chopped ingredient. Fixed an issue in Level 2 -3 where pots and pans could become stuck on the moving platform. Fixed in issue on Level 6-3 where ingredients could become stuck when changing the direction of the conveyor belt. Fixed an issue on Level 3-1 where the chopping boards and sinks could wash/chop without player input. Fixed dropped ingredients not being consistently affected by wind.